Even casual basketball fans know how obsessive Kobe Bryant was on the basketball court. He'd be the first one in the gym, the last one to leave, always looking for ways to improve both himself and his teammates. Perhaps it's no surprise, then, that since retiring, Bryant has been equally as obsessive about his post-NBA career: investing in and working with businesses. And he's hoping to add to the nearly $500 million he made during his playing days. In 2013, Bryant partnered with investor Jeff Stibel. Three years later, the duo announced a $100 million tech, media, and data fund. And though none of the pair's investments have cashed out yet, Bryant has helped them grow significantly. Consider BodyArmor, the company Bryant first began speaking with in 2012. Back then, BodyArmor – a sports drink company competing with Gatorade and Powerade – did just $3 million in annual sales. Today, they make about $200 million a year. Bryant has been an instrumental force along the way, providing counsel on story ideas, writing, and offering his unique perspective as a former player. He wrote and voiced a commercial for his "Obsession is Natural" philosophy. And he's not afraid to shoot off a 3 a.m. text message to BodyArmor founder Mike Repole to discuss strategy. Bryan Bedder/Getty Images for "Dear Basketball"
It's just one of many ventures Bryant has been involved with throughout his career. While he was still playing, he was a major partner in California-based ad firm Zambezi. He wrote an ad for Dwight Howard and vitaminwater that ran during the NBA Finals – the series where Bryant's Lakers ended up beating Howard's Magic in five games. Bryant wrote a poem for the Players Tribune called "Dear Basketball" that was critically acclaimed and turned into an animated short. He's also invested in a restaurant reservation brand and a real estate data and analytics business. Then, of course, there's Bryant's work with Nike. Executives from the apparel giant said that Kobe is the most demanding of all the athletes that have signature shoes, challenging the company to be at its best. In 2008, Nike and Bryant collaborated on a low-top shoe. It ended up revolutionizing the shoe industry as both a basketball sneaker and low-cut footwear that could be worn around town. Bryant already has plans for BodyArmor to overtake Gatorade and Powerade by 2025, and studies the likes of Oprah, Apple chief design officer Jony Ive for business inspiration. Much like on the court, Bryant won't stop until he's the best. But did you really expect anything less? 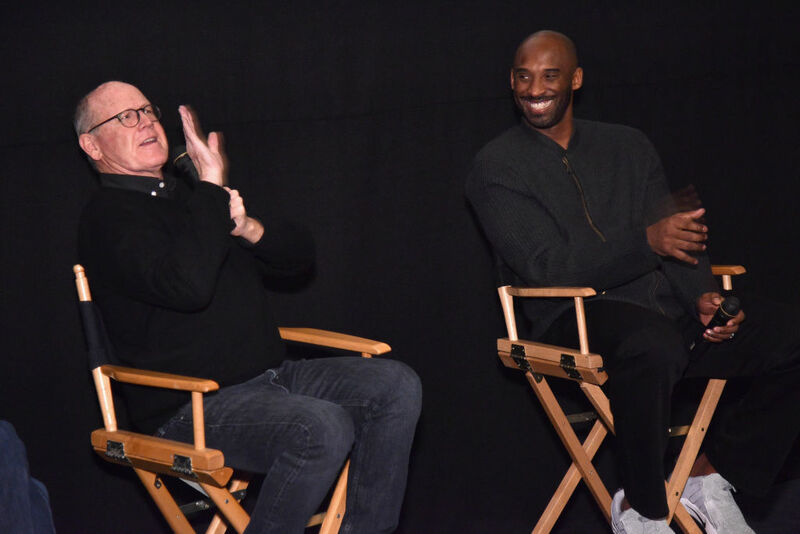 Kobe Bryant – yes, that Kobe Bryant – can officially call himself an Academy Award nominee.